Fast food chain Taco Bell, recently added a breakfast Waffle Taco and 13 new items to their menu. McDonald’s has bitten back. Part of Taco Bell’s marketing strategy hinged on endorsements delivered by “Ronald McDonald.” Despite sharing a name with the golden arches clown mascot, these Ronalds sang the praises of the new morning meals and declared war. McDonalds fired back at the Bell with a Tweet that featured an image of a crouched Ronald, petting a Chihuahua (the old Taco Bell mascot). Their jab, a simple “Imitation, is the sincerest form of flattery,” backed by free coffee giveaway. As the two food providers duke it out with eggs, processed meat, and potatoes, civilian casualties are expected to rise. While breakfast is a great way to start the day, these options are unhealthy food bombs brimming with calories, sodium and carcinogens. Eating breakfast is essential to starting the day. The process delivers energy that can help aid in concentration and focus. Additionally, breakfast skippers often weigh more than their morning-eating companions. In order to lure a breakfast crowd, Taco Bell’s is now offering a Waffle Taco brimming with eggs, cheese, sausage or bacon. For many, a morning trip to McDonald’s includes eating the fast food giant’s signature sandwich, the Egg McMuffin. No matter what choice, the sandwiches have high sodium levels. Waffle sandwich lovers are at risk of consuming 420 to 670 mg while muffin lovers will get 740 mg of the salty stuff. Either choice makes the fast food breakfasts an unsavory option. The American Heart Association suggests that adults cap their sodium intake at 1,500 mg of sodium per day for adults. The average American exceeds this limit every day and consumes 3,400 milligrams per daily average; processed and fast food consumption contributes to this trend. 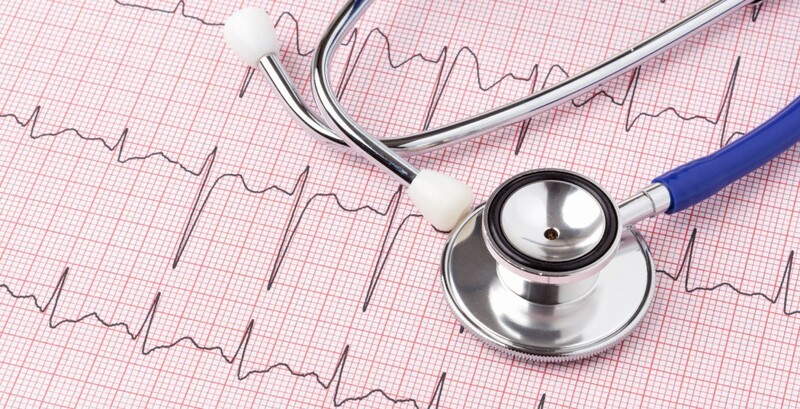 Monitoring sodium intake can help lower the nation’s mortality rate. Ingesting too much sodium can put individuals at risk for high blood pressure, heart disease, stroke, osteoporosis, stomach cancer, kidney disease, kidney stones, enlarged heart muscle, or headaches. Plus high sodium intake will contribute to water retention and make a person bloated, gain weight and that puffy feeling. Before buying any breakfast ingredients, read the ingredient’s food labels. With that info, carefully select the ingredients to improve your favorite meal. Look for waffles or English muffins with more than four gm of fiber, low saturated fat and limited sodium. Skip processed animal products including bacon, cheese and sausage; eating those options increase the risk of dying from cancer and heart disease. Substitute olive oil for butter when cooking eggs to lower total cholesterol amount. Add avocado, this fruit will deliver lycopene, beta-carotene, and healthy fats. Only dip waffle sandwiches in real maple syrup. Real syrup is rich with those manganese, zinc, natural antioxidants and is delicious. Imitation syrup contains processed sugars, corn syrup and other additives. French philosopher Jean-Paul Sartre said, “When the rich wage war, it’s the poor who die,” food corporations are part of that category. That is why when the fast food industry declares war; individuals are better off in hiding. Americans do many things right, but when it comes to the food chain Europeans do it much better. For over a century, the United States Department of Agriculture has provided nutritional guidelines to promote healthy eating. Despite those efforts, Americans favor fast food soda, burgers and French fries. If that is not bad enough, processed American include ingredients banned in other countries. Abroad, the European Food Safety Authority (EFSA) is responsible for overseeing the food chain. Locally, The Food and Drug Administration (FDA) is responsible for monitoring food safety. FDA laws require using science to determine a reasonable certainty that additives do not harm consumers. Despite this responsibility, the agency differs from the European counterpart by allowing toxins to enter the American food chain. Husband and wife team Jayson and Mira Calton, explored unsavory additives in their book, Rich Food, Poor Food: The Ultimate Grocery Purchasing System. Jayson has a Ph.D. in nutrition, and Mira Calton is a licensed certified nutritionist. Together, they investigated the ingredient lists of nearly 40,000 supermarket foods. Their efforts exposed how processed American foods contain harmful additives banned in foreign markets. Artificial Food Coloring: Dyes including Blue #1, Blue #2, Yellow #5 (Tartrazine), Yellow #6, Red #40 can make food colorful. Chemical reactions are responsible for those colors and have no place in food. 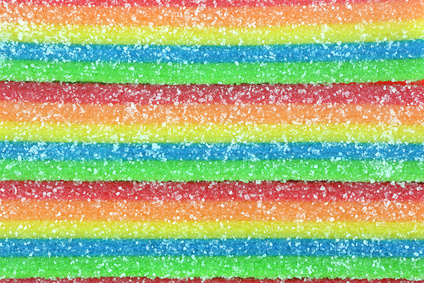 Depending on the color of the rainbow, artificial dyes cause health conditions including cancer, cell deterioration, and potential DNA mutation. Brominated Vegetable Oil: Soda is junk food that contributes to issues including obesity, tooth decay, and anxiety. Certain soft drinks also contain BVO as to prevent product separation. More than 100 countries have banned BVOs because of bromine, a chemical that releases corrosive or toxic vapors. Azodicarbonamide: Used to bleach flour, this additive can cause asthma. Potassium Bromate, AKA Bromated flour: This additive is a form of bromine and strengthens dough. Olestra, AKA Olean: A fat substitute that depletes fat-soluble vitamins. Butylated Hydroxyanisole (BHA) and Butylated Hydroxytoluene (BHT): Used to stabilize food, and although California lists these additive as a possibly cancer-causer, the FDA allows set levels in the food chain. Synthetic hormones rBGH and rBST AKA Recombinant bovine growth hormone and recombinant bovine somatotropin: Both synthetic versions of bovine growth hormone and can cause cancer. Arsenic: Arsenic is in chicken feed and subsequently in chicken. Anyone who has heard of the play Arsenic and Old Lace knows that arsenic is poison. 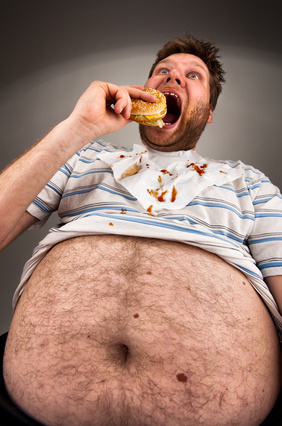 Skip fast food and processed foods as those options are lab created to be as addictive as cocaine. Read the ingredient labels of every processed food before buying, and if the list reads like a lab receipt, do not eat. Avoid snacking to prevent “accidentally” eating processed junk foods. Learn to cook. Meals made at home and from scratch tend to be less caloric than restaurant meals plus consumers have full control of the ingredients. Eating at home and sharing food with loved ones will make mealtimes a luxurious experience and much more enjoyable that eating on the run. Try to make every meal a balanced plate of nutrition utilizing local foods, whole grains, and fresh fruits and vegetables. Instead of munching on light foods, go for full fat options in moderation. The flavors and experience will be much more satisfying and can encourage smaller portions. Europeans are more connected to where the food comes from and how meals are prepared, that behavior naturally lowers the amount of processed food eaten abroad. Next meal, try to channel a French, Italian or other European eating personality in order to gain nutrition, not health risks. Throughout America, there are limitless food options. No matter if a person is a health nut, carnivore or vegetarian, there are plenty of foods available, but some foods are all time favorites. Some of the most popular foods are also the unhealthiest options out there. HuffingtonPost.com compiled a list of America’s top 11 favorite foods and it is brimming with processed foods including chicken nuggets, hot dogs and ice cream. The top three spots going to sodas, hamburgers and french-fries respectively. Although the foods are tasty, they can also contribute to health issues. Soda tops the list of America’s favorite food. The average American drinks 44 gallons or 166.558 liters of carbonated beverages annually. All those bubbles contribute to health issues and for can cost hundreds for the average family of four. Estimates suggest soda consumption provides 10 percent of the daily calories in the average American diet. That contributes to the country’s obesity epidemic. Refreshing sugary sodas contain empty calories thanks to a mix of sugar and starch; that combo can contribute to overeating and excess pounds. In addition to the soda/obesity connection, there are other health risks. 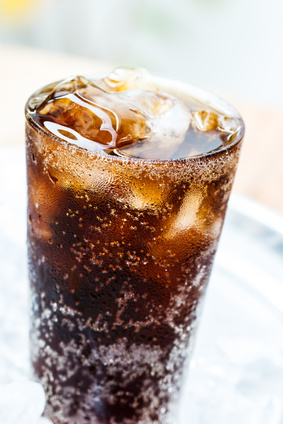 Research shows that sipping sugar-laden soda can contribute to tooth erosion.The caramel coloring that gives cola the enticing glow contains cancer-causing chemicals. Caffeine laden sodas can contribute to anxiety. Drinking diet soda impacts dental health can contribute to cancer and weight gain. Additionally, diet soda causes kidney problems, cell damage, reproductive issues, and can screw metabolic rates. Instead of sipping on that fizzy beverage, choosing water is smarter. Water is free, will protect teeth by washing away simple sugars that help contribute to tooth decay, will ensure proper hydration, and naturally promotes kidney health. Hamburgers are the next American food favorite, over 50 million of them are eaten each year. While toppings like mayo and cheese add fat and calories, the real culprit is the red meat between the buns. Research has shown that red meat consumption contributes to diabetes, cancer and heart disease. Additional research conducted by the Harvard School of Public Health also shows that red meat consumption can shorten your lifespan. A study of 37,000 healthy men and 83,000 women revealed that individuals who ate the most processed and unprocessed red meat had higher mortality rates. When it comes time to ordering a burger, consumers can make simple tweaks ensure they are getting the healthiest burger available. Options include skipping fatty toppings, substituting whole-wheat buns or lettuce for white bread, and selecting veggie or ground lean turkey patties instead of beef. French fries occupy the third slot on the list with Americans consuming around 29 pounds of fries each year. Those two billion pounds of potatoes are perfect for dipping in ketchup and gravy, but are not without risks. Potatoes, oil, and salt are all that is needy to make delicious fries. During that process, the starchy vegetable will absorb the frying oil and add tons of calories and fat to the innocent tuber. Aside from the increase the risk of weight gain, crispy fries can cause cancer because of the cooking process. High-temperature cooking causes a chemical change and acrylamide production; acrylamide is a carcinogen. The solution to minimizing this health risk is to opt for a baked potato and if ordering fries, do not order extra crispy potatoes. Additionally, storing potatoes in a dark, cool place that is not a refrigerator can help; refrigeration can increase acrylamide production during cooking. 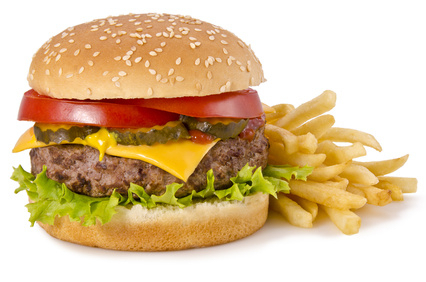 The all-American meal of burger, fries and soda is extremely popular and dangerous. Instead of making this combo a regular thing, opting to eat those foods in moderation can go a long way to improving health. Fast food is part of the American way of life; around 25 percent of all Americans have a daily fast food habit. Both convenience and taste help contribute to the trend. That is why consumers need to know how to choose their fast food meals wisely. The wrong choice can contribute to health issues such as poor nutrition, obesity and heart disease. Choose grilled anything instead of fried. Crunchy coatings hold in excess grease, are packed with calories and empty carbohydrates. Never supersize or go for combo meals. Instead, order a salad or fruit. Drink water instead of soda to save both calories and money. Swap mayo for plain ketchup and mustard to reduce unhealthy fat consumption. Exchange meat for beans, they are a filling animal free protein source. Opt for toppings including vegetables, avocado and salsa instead of sour cream or cheese. This technique will shave off calories and saturated animal fat. Plus it will help sneak more vegetables into the diet. 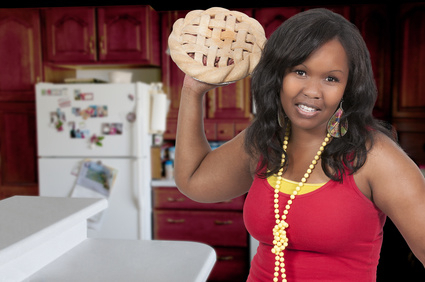 Run away from creamy dressings, soups and sauces, they are calorie bombs. Instead, opt for red sauce, clear soups and use salsa as a salad topping. 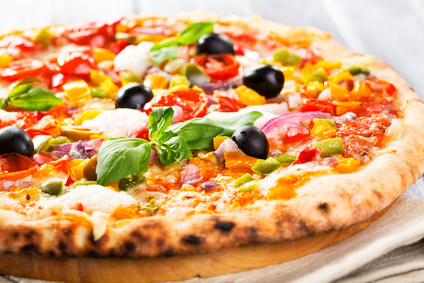 If pizza is your thing, opt for thin crust, red sauce and light cheese. Adding toppings such as roasted garlic and onions will add flavor, vitamins and minerals. When a burger craving hits, choosing a veggie patty instead of a beef patty will deliver more nutrition and reduce calories. A veggie patty smothered in mustard, ketchup, pickles, lettuce and tomato, tastes pretty close to the real thing. My confidant J eats lower on the food chain and avoids meat, poultry and processed meals most the time. That changed when Taco Bell introduced Doritos Locos Tacos; once her favorite snack chip became a holder for taco-filling, making a run for the border became a near-weekly ritual. Because of her passion for the Tex-Mex fast food, she has learned to order wisely so she can feed her cravings and maintain her girlish figure. For J, one Cool Ranch Doritos Locos Taco backed by black bean burrito is the winning taste combo. Combined, those two options pack 550 calories 22 grams of fat, primarily from meat and cheese. J orders so her food craving also packs the most nutritious punch. That involves substituting refried beans and black beans for meat, sub guacamole for all dairy and enhancing with pico de gallo. Those substitutions can save her around 100 calories and by adding avocado, she is consuming good monounsaturated fat known for lowering blood pressure. My other friend “R,” loves chicken and on occasion relies on fast food meals. When that happens, he chooses to dine with the little redheaded girl instead of the king. Wendy’s offers an Ultimate Chicken Grilled Sandwich at 370 calories and 7 grams of fat; R often replaces the honey-mustard sauce with plain mustard to shave off 40 calories and 2.5 grams of fat. Compared with the Tender Crisp Chicken Sandwich featuring fried chicken, mayonnaise, 700 calories and 46 grams of fat, Wendy’s is a smarter choice from the get go. Eating a perfect diet is tough, especially with delicious temptations on every corner. When it comes to ordering and eating fast food, it is important to know healthy fast food options are available to those in the know. If You Can’t Beet Them, Eat Them! Rooting for the underdog is a favorite American pastime. That is why when it comes to getting great nutrition and flavor I am on team beet. Many people hate beets for reasons including beets taste “too earthy” or “muddy” tasting to enjoy. Those folks have never tasted beets cooked the right way, and I am here to defend the sweet, vegetable underdog. Anyone who is struggling to eat healthy on a limited budget needs to learn about the humble beet. Buying a fresh bunch of the food will deliver two vegetables in one. The bulbous root that can be pink, white, striped, gold or blue and mounds of leafy greens that top off the roots. A group of organic beets should cost around $1.99 and that small investment will deliver tons of flavor and health benefits. In their natural state, beets can be unappealing. Pulled straight from the earth the food is dirty and smells like mud. Underneath that brown, there is a sweet root packed with vitamins and minerals. A one-cup serving of beets delivers Vitamins A, B, and C, potassium that assists vital organs, fiber for digestion, and folate. All these benefits come with 59 calories per one cup serving. The leafy green stems attached to the bulbs are the free bonus with purchase. In addition to providing folate, fiber and Vitamins A, B and C, the greens are a nutritional powerhouse. This food also delivers protein that supports metabolic reactions and assist in the replication of DNA, Pantothenic Acid that is essential for metabolizing proteins, carbohydrates, and fats. 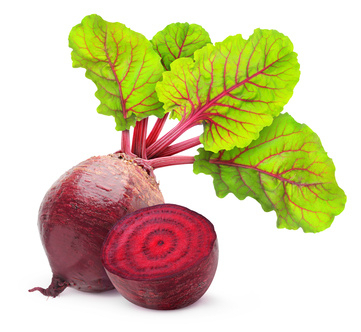 Plus beet greens also contain Vitamin E, Vitamin K, Thiamin, Riboflavin, Calcium, Iron, Magnesium, Copper and Manganese. Beets get a bum wrap, despite the perks and flavor. The secret to great beets is to know exactly how to prepare them from scratch. While it may be tempting to pick up canned beets because they are convenient, that technique has helped earned the vegetables a bad rap. Instead, buying them fresh can allow them to be turned into something amazing. While the oven is preheating, separate the beets from their stems. The food will be filthy so make sure to wash the beets extremely well. After the beets are clean, and the oven is ready, wrap each beet in a piece of tin foil, place on a tray and roast for 45 minutes. The beets are ready a chopstick can be easily pushed into it. Pull out of the oven and let cool. While the beets are cooking prep the greens by washing thoroughly and chopping into pieces. My favorite beet extravaganza begins with a home cooked crustless beet green quiche. Those efforts will deliver breakfast, lunch or dinner for a total of 6 meals. The roasted beets become a salad; after removing the skin and cutting the beet into chunks toss with fresh greens, crumbled feta cheese and season with olive oil, salt and pepper. While that combo is a staple in my household, I have also tried other satisfying options. Add beets to smoothies, appetizers, and sandwiches. Beet greens get a second chance in salads and pasta dishes. When it comes to this underdog vegetable if you can’t beet them, eat them! America is a land of milk and honey. Despite abundance, more than 49 million Americans struggle to find the best food needed to live a healthy life. Although poverty and unemployment contribute to food insecurity, food deserts compound the problem. Based on research, the United States Department of Agriculture estimates that 23.5 million people live in food deserts. 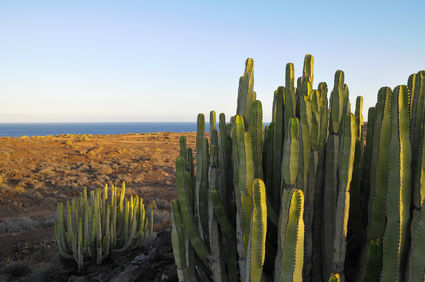 The deserts earned their name because the areas do not provide direct access to fresh food or because they are low-income regions as defined by census information. Whatever the cause, food deserts are contributing to food insecurity because people do not access to the best food needed to live a healthy life. After identifying a region as a food desert, there is help available. First Lady Michelle Obama has spearheaded a program called Let’s Move and part of the initiative focuses on eliminating food deserts in 7 years. To address the problem, The Departments of Agriculture, Treasury, and Health and Human Services have combined efforts to pave the way for development. Their efforts focus on providing resources and knowledge to support the creation of projects directly focusing on increasing access to the healthy and affordable foods needed for proper nutrition. There are nineteen grant programs dedicated to addressing the problem. Strategic partnerships that propose and implement sustainable projects promoting change can receive funds. The main program goals are to connect food producers directly with consumers in need; some initiatives have begun. Changes have included enabling farmer’s markets to take electronic payments to encourage Supplemental Nutrition Assistance Program [SNAP] enrollees to buy healthy food, providing local food banks with fresh fruit and vegetables, and funding the creation of farmer’s markets in needy communities. Independently funded food trucks are also a possible solution to the crisis. During the past few years, food trucks have evolved from construction-site staples to gourmet, mobile restaurants. Albuquerque, NM based MoGro, is one such business tackling the problem. Their business model focuses on by bringing mobile grocery stores loaded with fresh food directly to consumers in need. When it comes to fighting food insecurity and flooding dry spots with food, community outreach can go a long way. Ambitious people can create partnerships and secure government funding especially dedicated for the task. Communities can cultivate their own gardens. In limited spaces, individuals can participate in container gardening. Neighbors with cars can volunteer to shop for their homebound friends and bring fresh food directly to those in need. Any extra food grown or purchased can be shared. Although the food desert situation is troubling, everyone can participate in finding a solution. Consumers need to educate themselves on proper nutrition, the importance of where food is coming from, and the value of buying locally grown food. The Food Empowerment Project has information on these topics and issues including human slavery, pollution and animal cruelty. The more people know about America’s food crisis, the odds of combating the issue will increase. In 1947, the first home-use microwave oven hit stores. Somewhere in the mid-80s my family jumped on the bandwagon and added that appliance to the family kitchen. Once I proved to my mom that I would never put metal in the device, a whole new world of convenience food was at my fingertips. However, now the more I learn about nutrition and healthy eating, the more I wonder about cooking in a microwave. Instead of cooking food with traditional heat sources including fire, gas or electricity, microwaves rely on magnetron technology. Once plugged into an outlet and turned on, the magnetron device converts electricity into short radio waves. It is that electromagnetic radiation that causes H2O molecules to vibrate; that movement produces the heat needed to cook food. For years, watching movies and nuking a bag popcorn was my weekly tradition. In 2007, my dream shattered. At that time, I heard about microwave industry factory workers developed “popcorn lung” because they breathed in toxic fumes. After researching that claim, I learned that the innocent smell that I associated with movie theaters was laced with toxic chemicals and caused respiratory issues; I gave up that corn for good. That cooking-linked paranoia is not the microwaving food concern I have. Recently I found an article floating around social media where a young girl demonstrated how microwaves turned water into poison. That so-called experiment has featured two growing plants; one that received purified water and the other microwaved water. The article featured plant before and after shots; after seeing how the flora was doing on day nine, I believed my microwave was trying to kill me. Although Snopes.com has officially dispelled that myth, I still question the safety of microwaving foods. It turns out that using dishware specifically crafted for the microwave removes many of the risks associated with microwave cooking. Using glass or ceramic dishes covered with paper towels, wax or parchment paper can help protect food from becoming tainted. 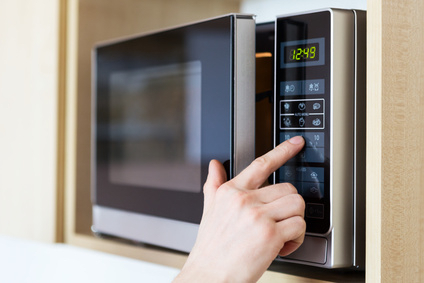 Leaching chemicals is one major concern associated with microwave cooking, and addressing that issue can make a microwave a safe addition to your home kitchen. Research indicates that microwaving food is one of the best ways to keep naturally occurring vitamins and minerals intact. Nutritionally minded folks know steaming fresh veggies helps retain nutrition when compared to other cooking methods including boiling or roasting. That is because quickly cooking food helps retain essential nutrients and microwaves do exactly that. Thanks to this information, I have decided to give my microwave another chance. My plans include making scrambled eggs and tons of vegetables. Any device that can make quick meals more nutritious is fine by me. America is a fast food nation. Fifty million consumers visit quick service restaurants annually, and value meals contribute to the overall sales statistics. McDonald’s has reported that their Dollar Menu items comprise 13 to 15 percent total annual sales. While the cheap food/full belly equation may be tempting, those seeking proper nutrition are better off making homemade bargain meals instead. During a rough economy, value menu marketing drives consumers to fast food restaurants. For many, the temptation of cheap sandwiches, sodas and fries are hard to resist. While those processed food items may be tempting, they are filled with calories and are low on nutrients. Swapping those $1 items for tasty, homemade food will help ensure that consumers get the biggest nutritional bang for their buck. There is no arguing the importance of eating breakfast. When chosen wisely, the day’s first meal will help boost metabolic rates, provide energy and help promote weight loss. The wrong choice can contribute too much sodium and fat. Swapping a morning fast food sandwich for a cup of slow cooked oatmeal is one way to ensure the beginning of a great day. A sausage biscuit is one option on McDonalds morning value meals. A plain sausage patty on a light, fluffy biscuit contains processed meat and empty carbohydrates. This cheap eat contains 430 calories, 27gs of fat (42 percent of the daily recommendation) as well as 1080 mg of sodium (45 percent of the daily recommendation). With a cup of black coffee, this unhappy meal will cost $2. Do not run to the golden arches, like eating at home will save money and protect the health. Starting the day with a cup (1/4 dried oats plus one cup of water) of slow-cooked oats for .62 cents will deliver nutrients including thiamin, magnesium, phosphorous and manganese all for 150 calories, 2.5 grams of fat and no sodium per serving. Eating whole oats will provide delivery 3g of dietary fiber and 2 g of soluble fiber per serving. 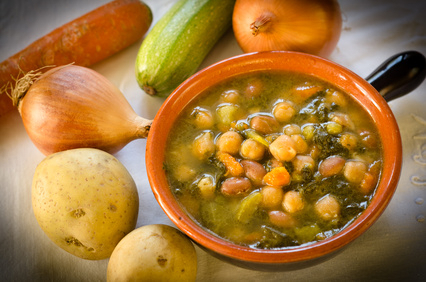 Soluble fiber is an essential compound that can naturally lower bad cholesterol levels. When combined with a home-brewed cup of coffee costing around .38 cents, consumers can shave 50 percent off of their annual breakfast budget. For workers, lunch is important at it provides a much needed midday break. Sandwiches of all flavors are a popular choice, and nearly every fast food restaurant has a value option that would work. Burger King is the home of the Whopper, and a Jr. version is one such value. This sandwich has a reasonable 300 calories, backed by high 17g of fat and 560g of sodium. Thinking about adding a side to complete the meal? Reduced calorie Satisfries will contribute another 340 calories, 14g of fat and 370 mg of sodium to the meal. Regardless of beverage choice, this combo delivers 640 calories, 31g of fat and 930g sodium. Two dollars can buy so much more. Making your own sandwich and side is easier, healthier and cheaper than dining with the king. Two slices of whole wheat bread have around 220 calories, .5g fat, and 440mg sodium. Simply smear 2 tablespoons of natural, salted peanut butter (190 calories, 16g fat and 140mg sodium) and a natural fruit spread (35 calories, no sugar or sodium) and voila, a PB&J fit for royalty. Back that up with a piece of fruit like an apple or banana and that meal will cost about of $1 and deliver fiber and protein. After the daily grind, dinner can be on the mind. While it may be tempting to go south of the border to pick up a Beefy 5-Layer Burrito for under a buck, the 510 calories, 20g of fat and 1270g of sodium do not make it a wise choice. The right Mexican dinner food swap will deliver plenty of flavors minus the junk. Start by filling corn tortillas (2 small corn tortillas have 110 calories, 1.5g fat and 10mg sodium 18 cents per half-cup cooked) with half a cup of pinto beans (123 calories, .5g fat, and 203mg sodium). Enhance that filling with healthy options like salsa, onions and garlic sauteed in olive oil and fresh avocado slices. Each burrito will cost less than .40 to make and will deliver fiber and protein. Just because fast food is convenient, does not make it a wise choice. Although there are exceptions to the rule, fast food includes unsavory components including fat, sodium, empty calories and hard-to-pronounce additives. The greater amount of fast food consumed, the bigger odds of a consumer developing health conditions including obesity, diabetes and heart disease. Taking the time to avoid the value menu hype can save more than money. It is easy to tell someone what to eat in order to maximize nutrition and save money, but living by those guidelines is a different experience. When I was in college, it was easy to live on $5 a day as I thought Ramen noodles and cheap peanut butter comprised the perfect diet. However, since yesterday’s posting I decided to give my own philosophy a try. Today I ate using the same limited budget that nearly 50 million people on the Supplemental Nutrition Assistance Program use. Last night I prepared for the experiment by doing some grocery shopping at two different stores, my neighborhood supermarket and my local bargain store. Additionally, I took the time to soak some beans and stop at some of the fast food restaurants as that is where I picked up complimentary seasonings like salt, pepper and sugar. I limited my total grocery spending to $35 or $5 per day, even though I am only doing one $5-a-day experiment. That prompted me to choose inexpensive super foods and weekly staples like green tea and bread. My day started with a cup of green tea that I bought at my local bargain store (20 bags for .99 cents). I sipped that .05 cent treat and flavored it with a little packet of honey I snagged from a nearby coffee shop. As I sipped that beverage that is known for having concentrated antioxidants, I made a bowl of whole grain oats. That dish contained slow-cook steel-cut oats (approximately .62 per serving), tap water (free) and added a cup of defrosted organic berries (approximately .74 cents per serving). This meal was done and used $1.41 from my budget. I left my home knowing that I would come back at 1:00 pm to make and eat my lunch. The fiber from the oatmeal kept me satiated until that time, and the only thing I consumed while running around the city was water from the bottle I filled and carried with me. This meal was a baked potato stuffed with Mexican black beans. As the potato (approximately .21 cents per potato) baked in the oven, I doctored the beans (approximately .18 cents per ½ cup serving) with spices and sauce packets I grabbed from a neighborhood taco joint. Although the meal was filling, I have to admit that I would have preferred to cumin, but stuck to the free sauce to ensure I stayed within my budget. Once again, water was my drink of choice. This midday feast used another .39 cents from my budget, leaving me with a whopping $3.20 for the remainder of the day. This is where things got a bit tough for me as I am a notorious snacker and on my limited budget I had to figure out an inexpensive way to fill the void. That happened at around 3:00 pm when I ate .50 cent banana (I know that Trader Joe’s sell them for .19 cents a piece), a .05 of green tea and bowl of air popped popcorn that cost approximately .15 cents to make. While the combination was not my first choice, it filled me up and only used another .70 cents of my budget. I worked at home until dinner and when that time came I was thrilled to have a whopping $2.50 to use for the cause. That night I feasted on a three-egg omelet that cost about .48 cents, two pieces of whole-grain toast (at a total of .40 cents) and a cup of steamed broccoli (frozen was cheaper, so that cost me about .50 cents a serving. I washed down that $1.38 meal with free water and ate an apple (approximately .75 cents) for dessert. By the time I went to sleep, I had eaten $4.63 of my entire days food budget. The process took planning, preparation and some creativity, but I did it. I was satiated all day long, and was proud that I could survive on $5 if needed.